Jaguar is out to prove once and for all that it can keep up with its German rivals while staying relevant in the declining full-size sedan segment. 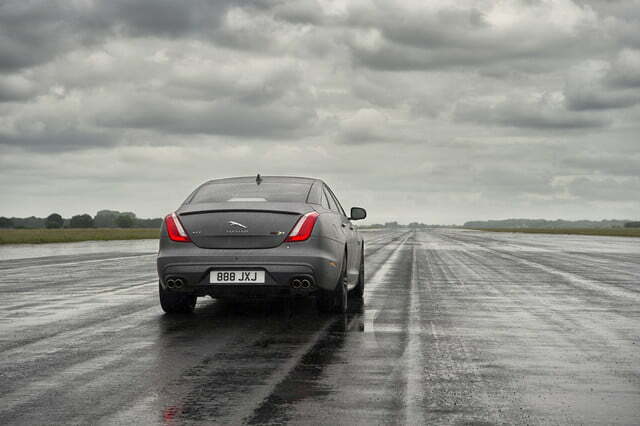 It’s on a performance offensive, and its latest round of artillery is named XJR575. 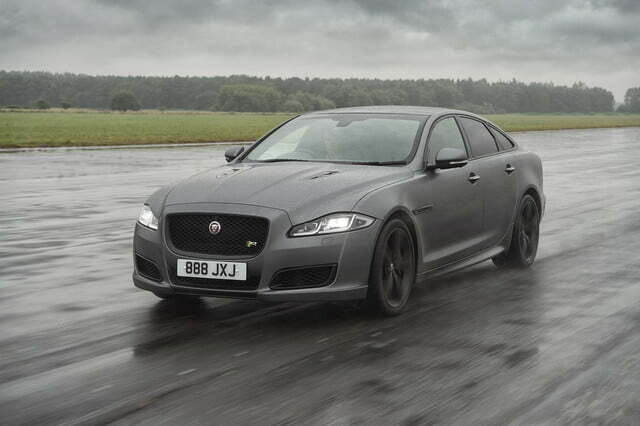 To create the XJR575, Jaguar sent the XJR to the gym and equipped it with several new tech features. The most noteworthy modification is found by looking in the engine bay, where the full-size luxury sedan receives an evolution of the company’s ubiquitous supercharged 5.0-liter V8 engine. 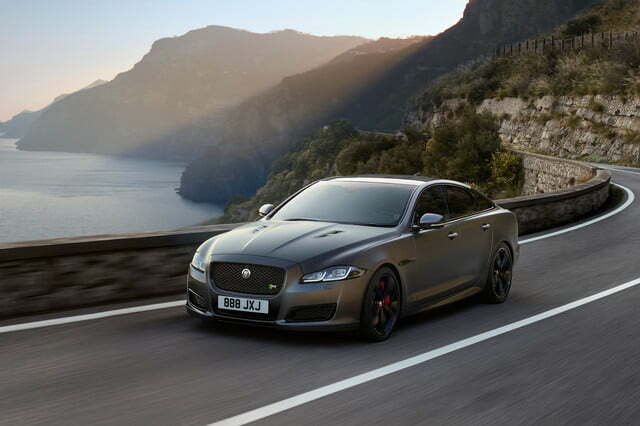 It’s tuned to produce 575 horsepower and 516 pound-feet of torque, which represents 25 additional horses over the variant of the eight bolted between the standard XJR’s fenders. 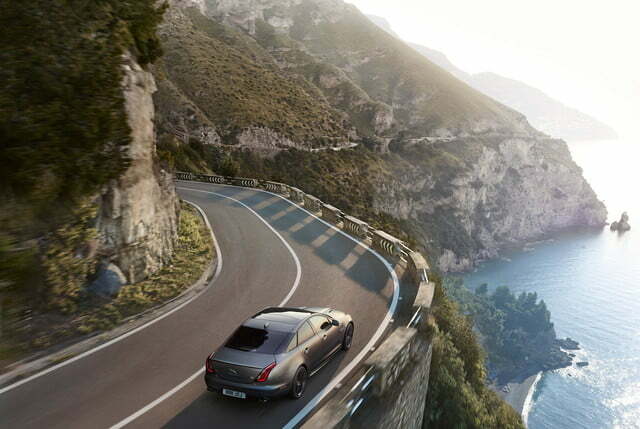 Call upon the cavalry by mashing the skinny pedal and the sprint from 0 to 62 mph takes just 4.2 seconds, which lets the XJR575 keep up with dedicated performance machines like the Porsche 911. If you’re up for even more thrills — and you have enough asphalt at your disposal — it’ll hit 186 mph from a standstill in 44 seconds. 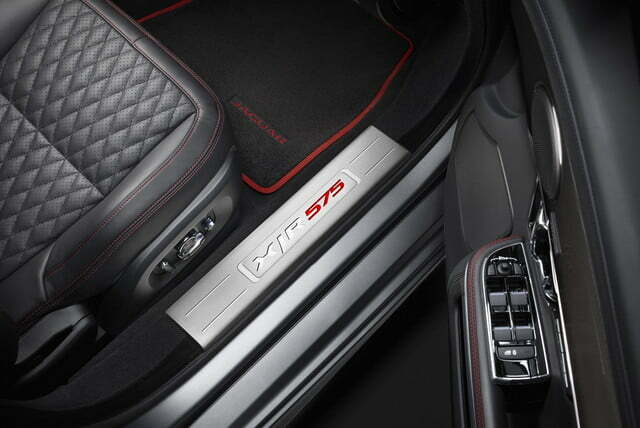 It’s easy to drift, too, because the eight-speed automatic transmission spins the rear wheels only. 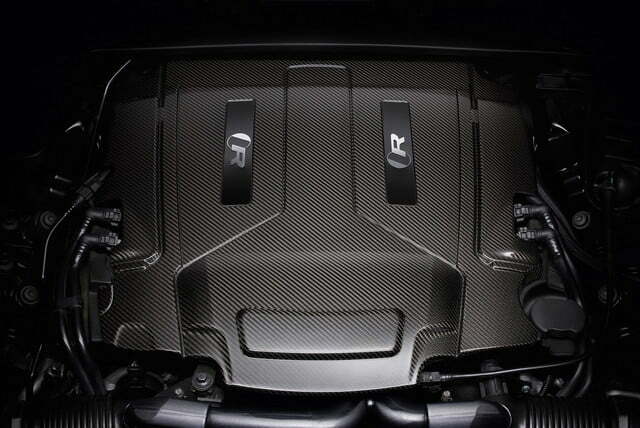 You can tell the XJR575 apart from the standard XJR without popping the hood if you know what to look for. Jaguar installed a body kit that brings a unique rear spoiler, side sills, a specific front bumper with bigger air intakes, and vents cut into the hood. 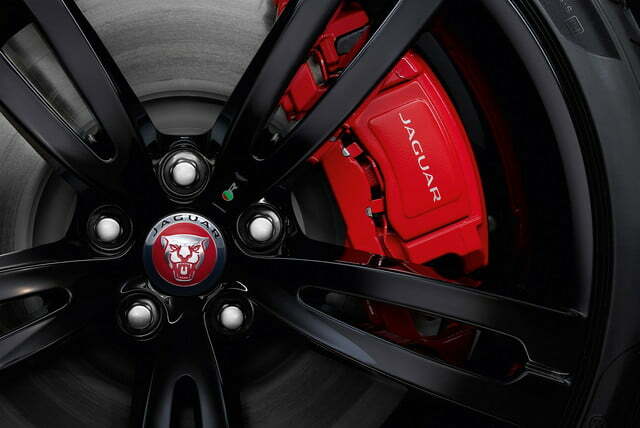 20-inch alloy wheels and gloss black trim add a finishing touch to the look. 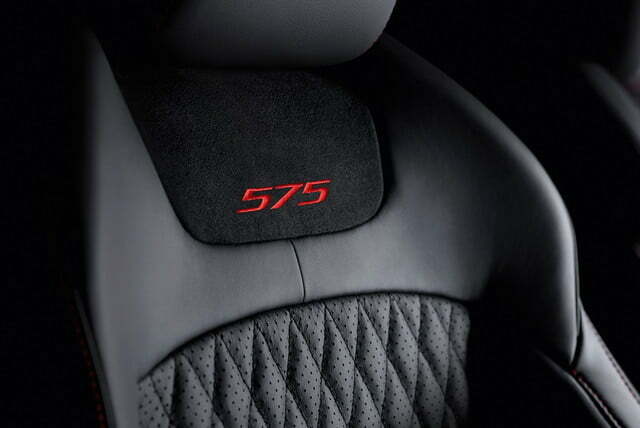 “This is a performance vehicle, but that doesn’t mean we have had to cut any corners when it comes to comfort or design. 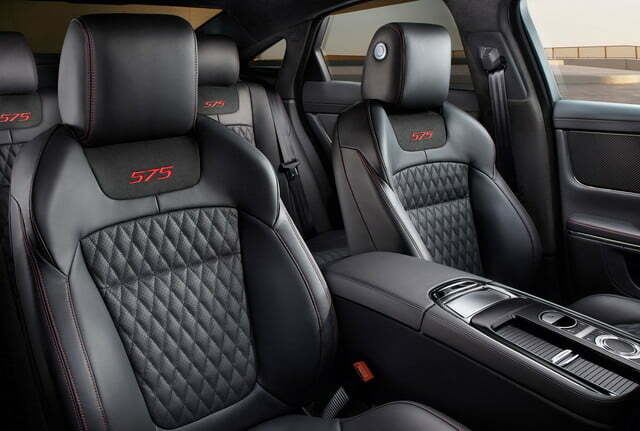 It can go very quickly, but it does so with the serene comfort customers expect from a Jaguar saloon,” Ian Callum, Jaguar’s head of design, said in a statement. 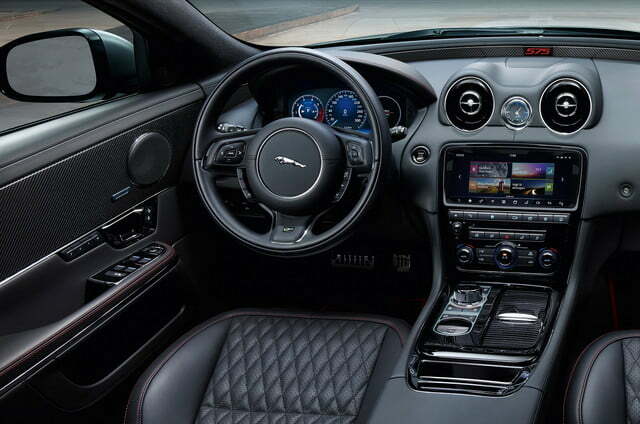 Like the rest of the XJ range, the XJR575 now comes with a 10-inch touchscreen powered by a quad-core processor. The passengers can customize the home screen by moving the icons around and adding shortcuts to commonly used features and apps, and pinch-to-zoom when using the navigation system. 4G Wi-Fi keeps up to eight devices connected on-the-go. 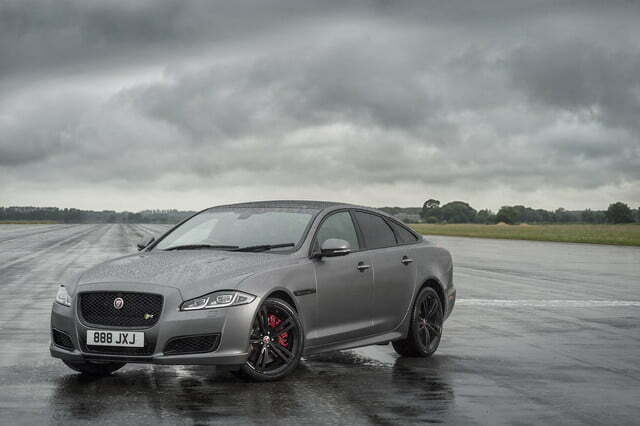 In the United Kingdom, its home market, the 2018 Jaguar XJR575 starts at 93,710 British pounds, a sum that converts to approximately $122,000. Pricing information for our market will be released in the coming weeks.